I came into possession of some very pretty sparkling sugar and knew that encrusting cookies with it would be the perfect showcase. 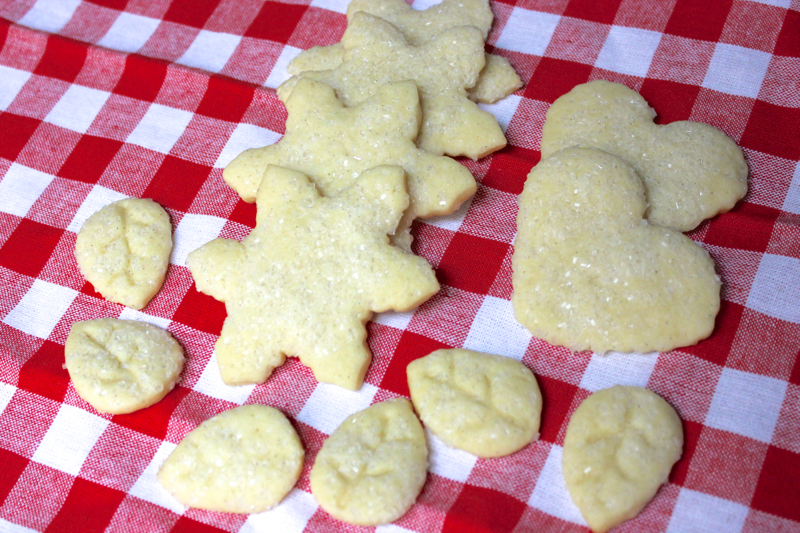 Aside from pie crust cookies, dog treats, and hamentaschen, this was one of my first times making cut-out cookies, and I learned some helpful tricks along the way. These cookies are tasty, softish, and studded throughout with black vanilla beans. Without the sugar crust, they’d be perfect for icing, if you’re into that kind of tedium. 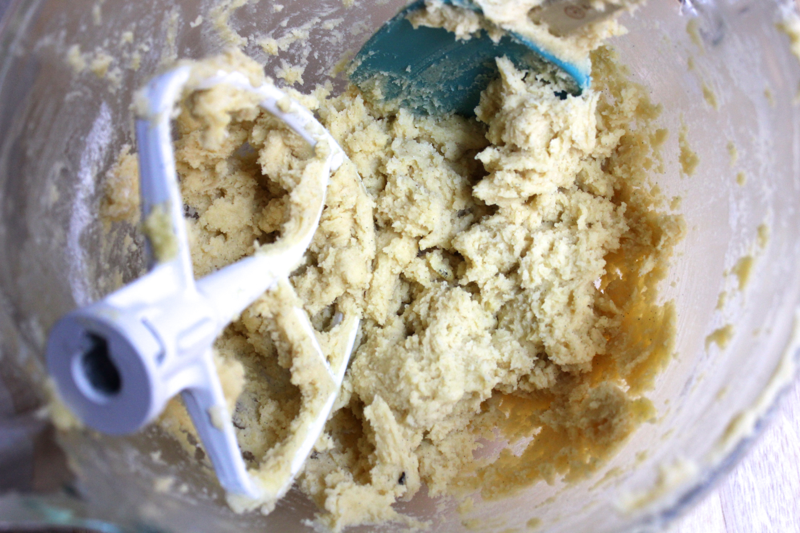 To make the cookies, soften 3/4 cups of butter at room temperature. 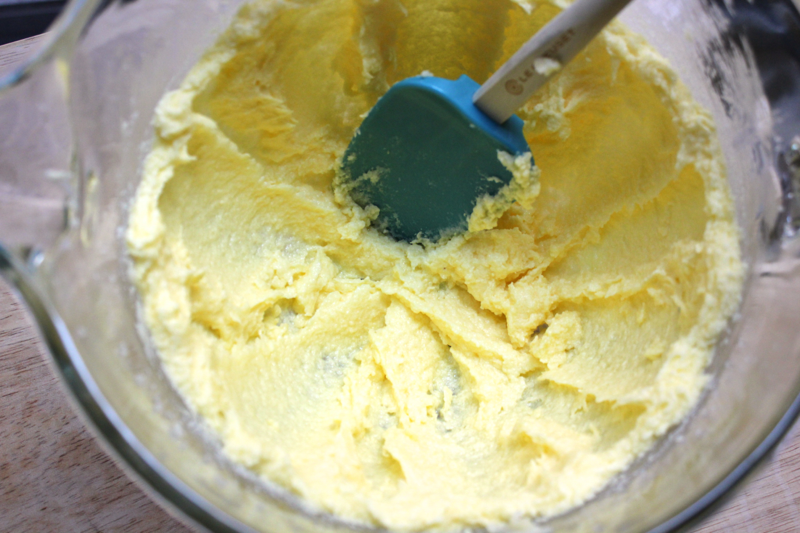 Then, use an electric mixer to cream the butter together with 1 cup of sugar for a few minutes until the butter appears full and aerated. Crack in 1 egg, and mix it in well. Repeat with a second egg. 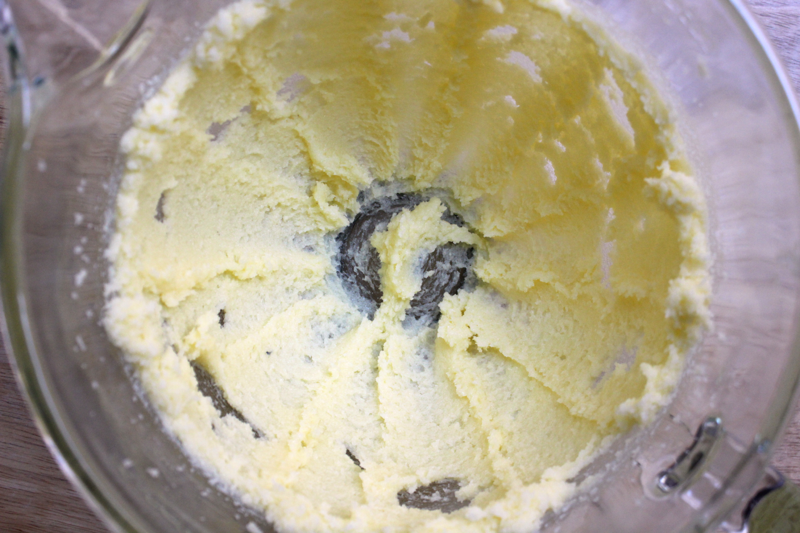 Cut open a vanilla pod, scrape out the beans, and mix them into the butter mixture. You could replace the vanilla bean with 2 teaspoons of vanilla extract instead. Time for the dry ingredients. Add 2.5 cups of flour, 1 teaspoon of baking powder, and 1/2 teaspoon of salt to the bowl. Stir the dough together until it is evenly combined. 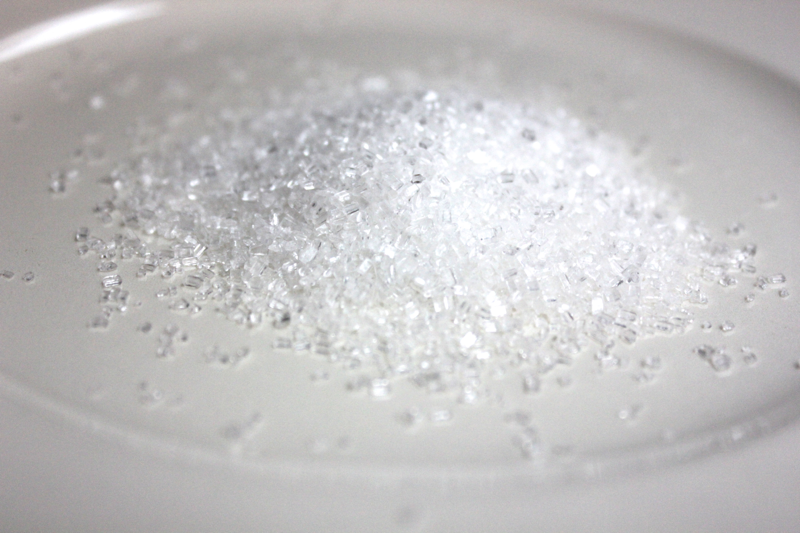 Scrape the dough out of the bowl – it will be very sticky – and pile it onto some plastic wrap. 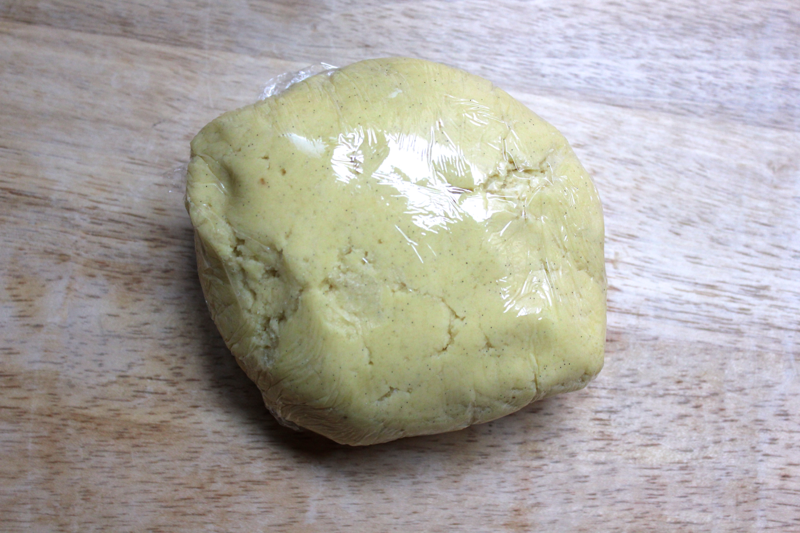 Wrap up the dough, shaping it into a ball, and refrigerate it for at least 1 hour until it is well-chilled. The most important part in making these cookies is keeping the dough cold. Although not necessary, you could put some ice packs on your counter to cool it down before rolling out the dough. 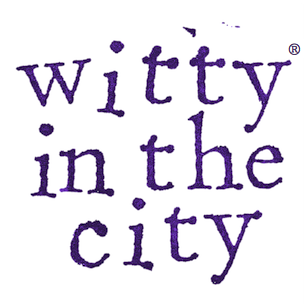 Lightly flour your counter and rolling pin, and remove about 1/3 of the dough from the refrigerator. Roll it out so that it is evenly 1/4 inch thick. Working quickly, use a cookie cutter to cut out one cookie, and transfer the cookie to a parchment paper-lined baking sheet. If you let the cookies linger on the counter, they will soften too much and be difficult to pick up. Repeat with the remaining dough on the counter. 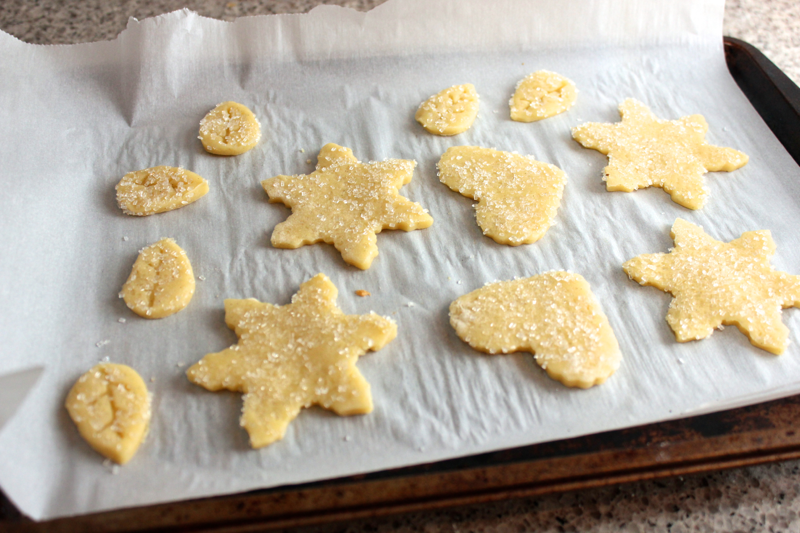 Pour the sparkling sugar onto a plate, and press the top sides of the cookies into the sugar. The warmth of your hand will soften the cookies slightly and help the sugar stick. Put the cookies back onto the cookie sheet. Pile up the remaining scraps of dough, and set them aside. Remove another third of the chilled dough from the refrigerator and repeat the process until all of the chilled dough is used up. Form all of the dough scraps into a ball, and chill them for a second rolling. 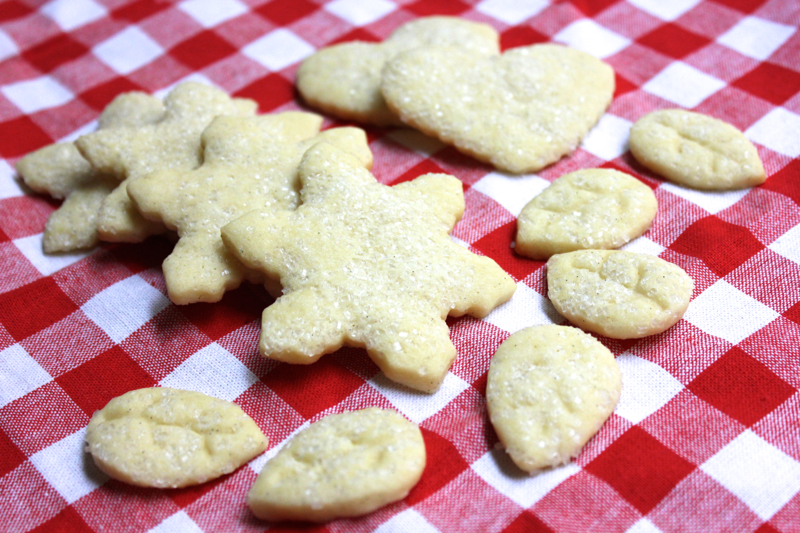 Also, transfer your sheets full of cut and sugared cookies into the freezer to chill before baking. Baking the cookies from frozen will stop them from spreading and help them maintain their edges. While the cookies are chilling, heat your oven to 350° F. Once the cookies are cold and firm to the touch, bake them for approximately 8 minutes until they are just barely browned around the edges. Allow the cookies to rest on the cookie sheets for a few minutes, and then transfer them to a rack to cool completely. Repeat the process with the remaining dough in the refrigerator until it is all used up. This recipe is adapted from the Pastry Affair. If, by chance, you mean to say that you no longer want to receive posts by email, then you can unsubscribe using the unsubscribe link included at the bottom of each email.